The Guilty Feminist Presented by Deborah Frances-White and Hari Kondabolu Episode 144: International Migrants Day for the United Nations with special guest Uma Kondabolu Recorded 20 December 2018 at the Victoria Hall, Geneva. Released 8 April 2019. The Guilty Feminist theme by Mark Hodge and produced by Nick Sheldon. ** TICKETS STILL AVAILABLE FOR 11 APRIL ON THE SOUTH BANK ** . Leave us a review and rate us on Apple Podcasts! The Guilty Feminist Presented by Deborah Frances-White Episode 143: International Women’s Day 2019 with special guests London Hughes. 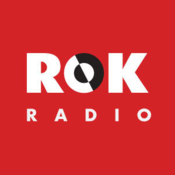 Kemah Bob, Gina Martin, Carys Afoko, Caroline Criado-Perez and music from Sadie Sinner. Recorded 8 March at Kings Place in London. Released 1 April 2019. The Guilty Feminist theme by Mark Hodge and produced by Nick Sheldon. Photos by Callum Baker Come to screenings of Say My Name with live Q&A. Tickets still available. . Leave us a review and rate us on Apple Podcasts! 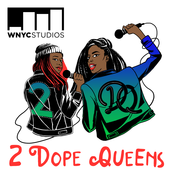 Lyt til The Guilty Feminist, 2 Dope Queens og mange andre stationer fra hele verden med app'en radio.dk.